There are certain things a woman does not wish to go without. In winter especially, the cold in Chicagoland is biting and changes rapidly. 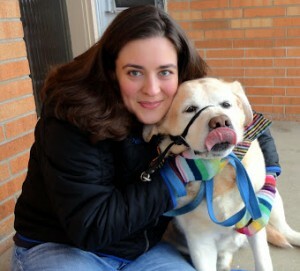 So, when we got new carmex moisture plus, I was thrilled! Finally, a new Carmex that may just solve any appearances of the dreaded chapped lips of winter cold. Let’s be honest, we can’t always have perfect lips on our own. It doesn’t help when the ultra fabulous Miss Rosie wants to go outside at this very moment. So, when you have the opportunity to protect your lips with a swipe of this Carmex, well there are no downsides. My favorite design in their newest collection is Whimsical. Fortuitously, I took their quiz and I got whimsical as my design. I would was glad to see that my style was obvious to others, although I tend to love more bold colors. Of course, while I love the four styles of their limited edition moisture plus collection, I’d love to see one that reflected my love for Fantasy with an out of this world design and flavor to match! So, why not try your luck and enter to win your own set of Carmex! 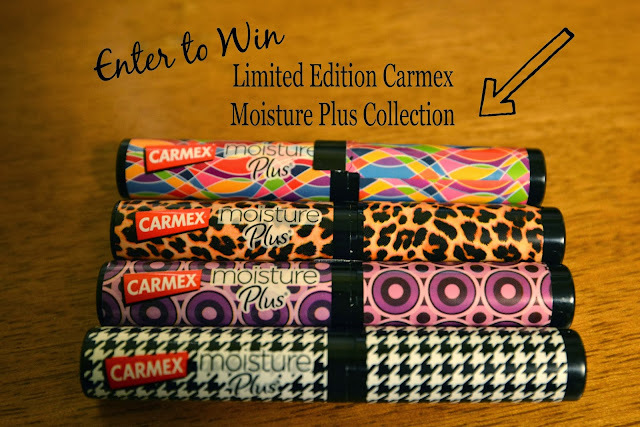 They are giving away a set of their Limited Edition Moisture Plus because when you want to find your favorite lip balm from your purse, let’s be honest you carry more one flavor, you want to be able to see it easily for a style that compliments your own! Now, you can find that lip balm with ease because with a case like these you’ll always love it! This is going to be a flash giveaway! To enter leave a comment below telling us why you need some Whimsical in your life by 11 pm CMT Thursday December 19th, 2013. Make sure you leave a way to contact you as I need to submit a winner tonight. Contest open to 18+ residents of the Continental US. The wind here is brutal!